The taste of lemon in my water…. 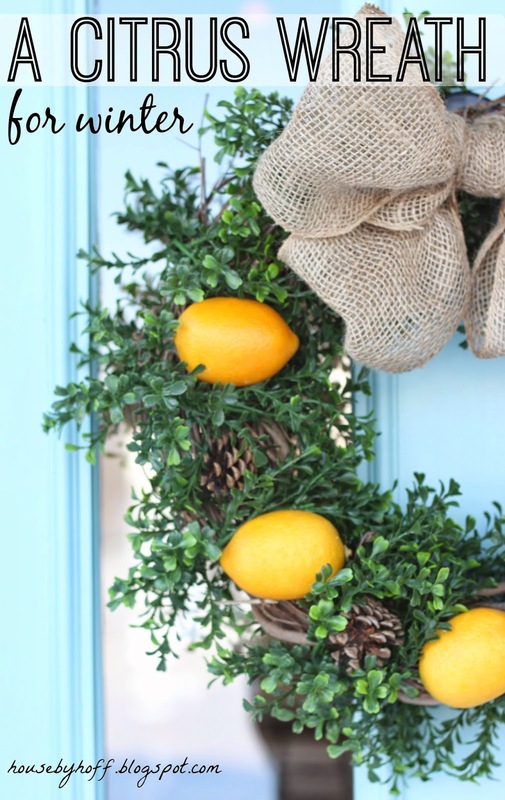 Anyway, my love for lemons inspired my winter citrus wreath. 1. I used a branch wreath, purchased at JoAnn, as the “base” for this wreath. Using floral wire, I wrapped two boxwood garlands around the wreath. 2. The wreath looked like this when I finished wrapping it with boxwood garland. 3. I made a burlap bow and attached it to the wreath with floral wire. 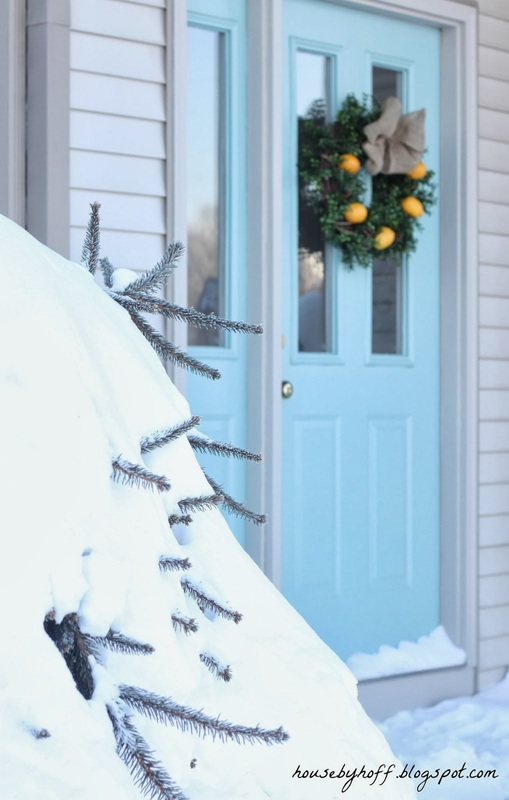 I love the way the yellow lemons pop against my blue door! 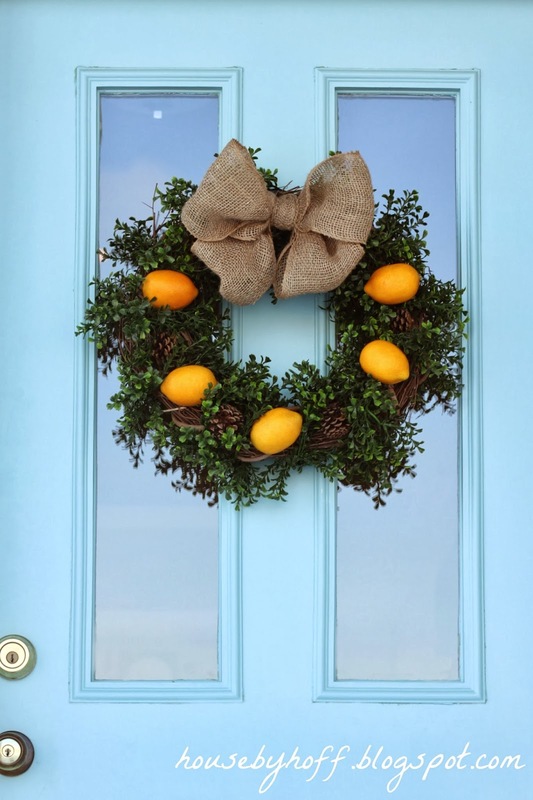 Good thing I have a lemony-wreath to keep my spirits up. Previous Post: « Photography Wednesday: The BEST Places to Take Photos in Your House! Cute! 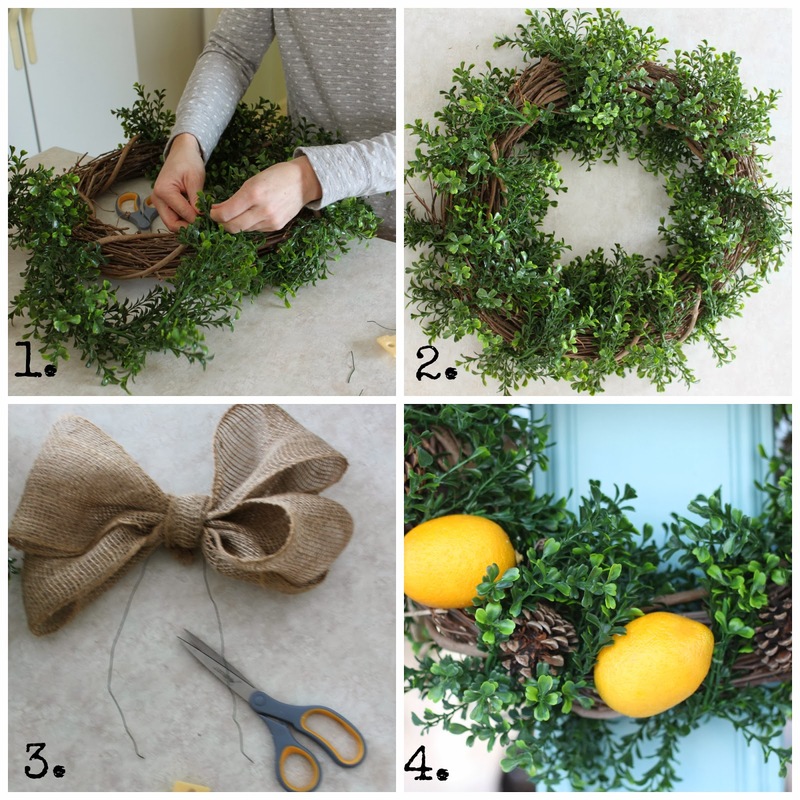 Where did you find the boxwood garland? I love this! Such a great pop of color for winter!